Traveling to a country and learning facts about its culture and society are always the most interesting things for any tourists. 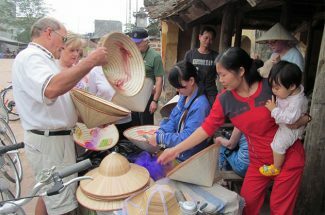 Vietnam is a country with a variety of culture with 54 ethnic groups as long as many landscapes where you can explore. 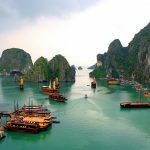 As a result, there will be numerous interesting facts about Vietnam that can make you surprised on your Vietnam vacation. 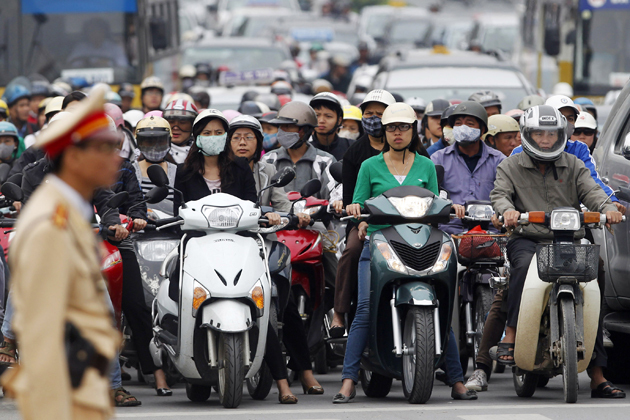 One of Vietnam facts and information every tourist should know is that motorcycles are the main mean of transportation of 90 million Vietnamese people with 37 million registered comparing to only 2 million cars, so don’t be surprised if you see too many motorbikes on the Vietnamese streets. Owning a car is a luxury because the taxes pull up to 100% -200% of the car’s value in Vietnam. 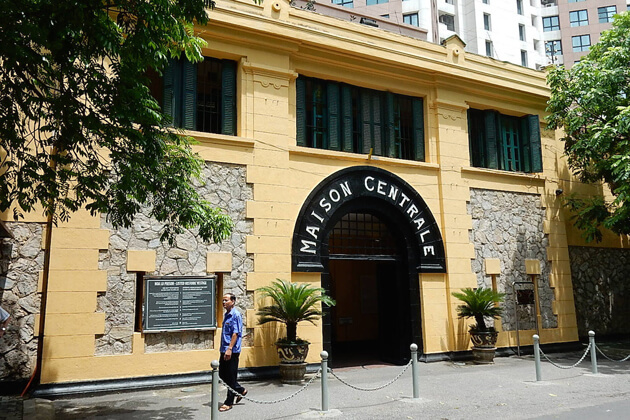 In general, for the first time visitors setting foot on Saigon, Hanoi or other urban areas in Vietnam, most of them were definitely overwhelmed by the traffic problem in Vietnam. “Nguyen” is the most popular family name of Vietnamese people that about 40% of Vietnam’s population carries this family name. When Vietnam was dominated by China, the Chinese sought a way to name the Vietnamese living in the land they had just taken, so they decided that they would call them Ruan ( Vietnamese transliteration into Nguyen). 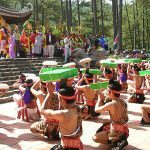 The word “Nguyen” original meaning is the name of an ancient musical instrument- “Ruan”. 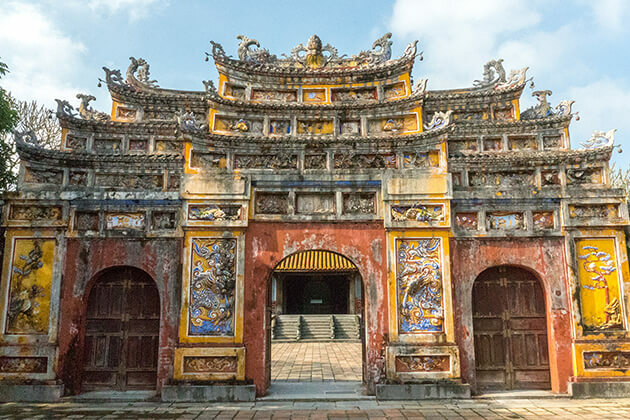 Many kings of Vietnam also have this surname such as the Tay Son and Nguyen Dynasty. Percentage of Vietnamese people with surname Nguyen certainly has soared during the reign of the Nguyen Dynasty. In the facts about Vietnam culture, it has had many cases and other events that made the people rename their family name to Nguyen. Vietnam is one of the few countries in the world worshiping the gods of the kitchen. Vietnamese people think that three gods of the kitchen will decide good fortune or evil and blessing for the family. This blessing is due to the righteous deeds of the landlord and the people in the house. According to legend, before the days of Tet, the Kitchen God will report to the King of Heaven about the family situation in the past year. 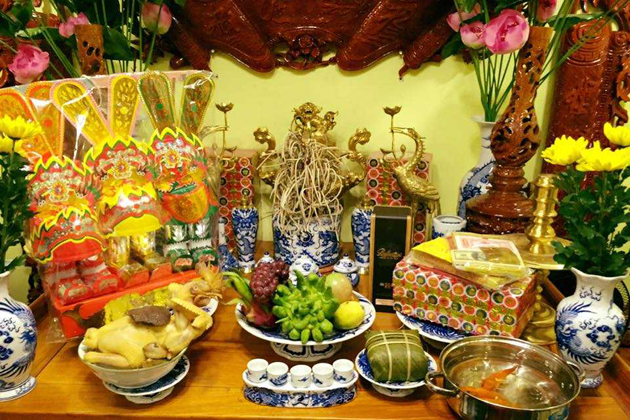 Therefore, with the expectation that the Kitchen Gods will “bless” for their families more fortunate, on the 23rd day of the twelfth month by the lunar calendar, Vietnamese people often prepare a ritual to see the Kitchen Gods off. There is an interesting fact about Vietnam that most Vietnamese people think that a girl with white skin evokes the innocence and purity, which will easily conquer the eyes of the opposite person. From there, they have more opportunities in both work and daily relationships. Therefore, most Vietnamese women – especially young people – prefer white skin, white bathing, even plastic surgery to change skin color and many cosmetic companies in the country have a great market with sunscreen products suitable for activities under the sun. Also a bit like dirty finger overseas, the only difference is that for foreigners it is only the middle finger image, while in Vietnam the image of the middle finger interlocking index finger. The meaning is the same, standing for rude and impolite. 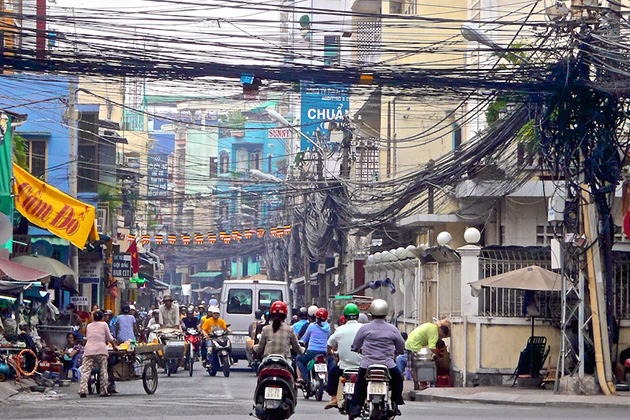 The giant bundles of electric lines are typical images of Vietnamese streets as they are rolled together into a tousled mess and cover any possible space. It looks kind of dangerous and makes you wonder in which magical ways electricians fix the wires in case of a sudden blackout. If Spiderman ever came to Vietnam, he would probably be stuck right the moment he decided to swing around the streets of Hanoi. One of the proudest facts about Vietnam is that Son Doong cave in Son Trach commune, Bo Trach district, Quang Binh province of Vietnam is the largest natural cave in the world today. 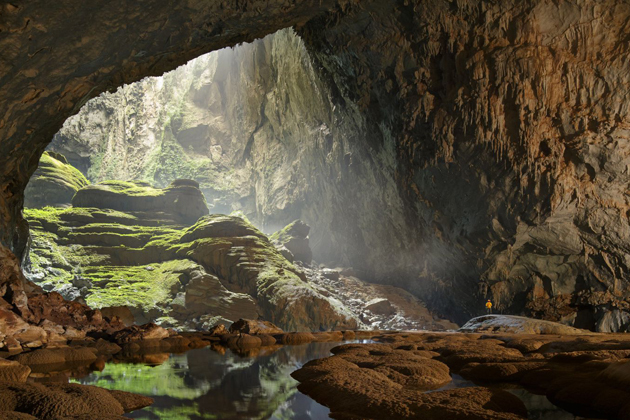 The cave is located in the series of Phong Nha – Ke Bang National caves, which is a part of the underground system connecting more than 150 other caves in Vietnam near the border with Laos. According to the geologists, Son Doong cave was formed about 2-5 million years ago, when river water flowed across the limestone area buried along a fault line. The water erodes and creates a huge tunnel which is Son Doong cave today. In 2004, the New York Times ranked Son Doong cave in 8th place out of the top 52 the world’s best destinations, so don’t forget to visit this amazing cave in your trip in Vietnam. Vietnamese is the language of Kinh people and also the official language in Vietnam. 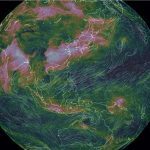 This is the mother tongue of about 85% of the population living in Vietnam and more than four million Vietnamese living abroad. Vietnamese is also the second language of ethnic minorities in Vietnam. 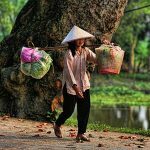 The Vietnamese language has up to 6 different tones and meaning of each word may vary in every tone that makes it become one of the most difficult languages to learn in the world. According to UNESCO, as a developing country, Vietnam tried to achieve a 90.3% literacy rate among adults and 94% in children. People in remote areas make up 35% illiteracy nationwide, of which the majority are women and ethnic minorities. However, this figure only accounts for 13.5% of Vietnam’s population. 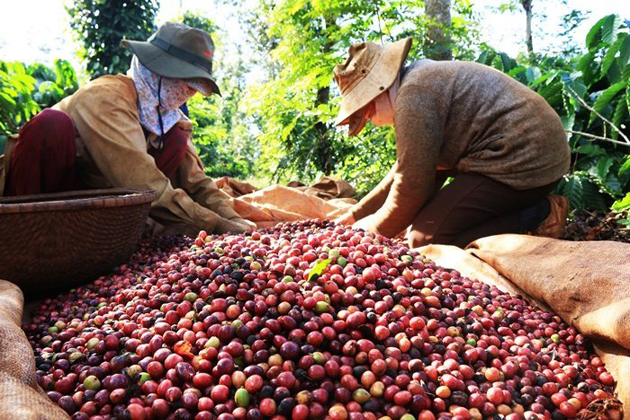 Vietnam is the second-largest coffee producers in the world after Brazil (20% of the world’s coffee exported from Vietnam). Due to that fact, the coffee forms a great part of Vietnamese culture. Vietnam coffee has a strong taste from dark-roasted Robusta beans at a very reasonable price. If you love an intensely rich and dark flavor, you shouldn’t miss trying Vietnamese coffee in your travel to Vietnam. Adding a little ice and sweetened condensed milk at the bottom of the cup, Vietnamese coffee becomes “Ca phe sua da”, a famous ideal beverage to slake in the hot days in Vietnam. As a fruit found in Vietnam, the name “breast milk fruit” makes many tourists laugh when being known. It is also known as the “star apple” because when bisecting the fruit, it will look like a star. 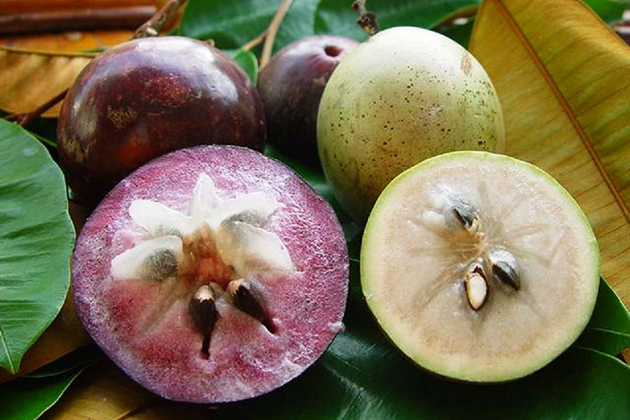 The sweetness and coolness of the star apple are like breast milk that makes it a favorite fruit. 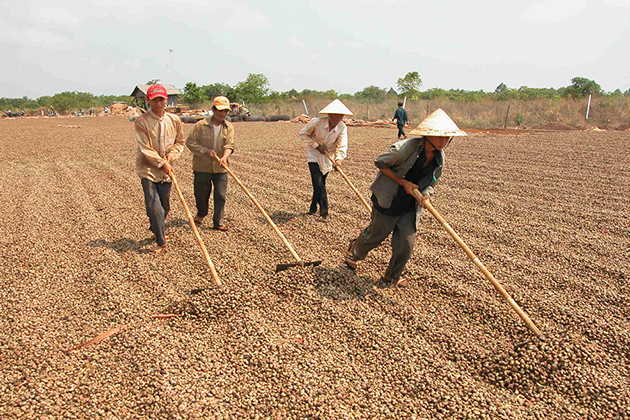 After more than three decades of development, Vietnam has become the country with the number one cashew nut export, the second most processed and third largest in terms of productivity and output. In 2016, the Vietnamese cashew nut industry exported 347,000 tons of cashew nuts, valued at 2.84 billion USD, and processed over 50% of cashew nut production in the world. The cashew nut industry brings great economic value and contributes to the employment of millions of Vietnamese farmers and processors. The cuisine of Vietnam traditionally combines 5 elements. It means that each dish is created to balance out the five fundamental taste senses: spicy (metal), sour (wood), bitter (fire), salty (water) and sweet (earth) to correspond to five internal organs of the body: gallbladder, small intestine, large intestine, stomach, urinary bladder. In addition, a dish should include five types of nutrients: powder, water or liquid, mineral elements, protein, fat, and five colors: white (metal), green (wood), yellow (earth), red (fire), black (water). As a result, the dish will appeal to the five senses: arrangement attracts (sight), crisp sounds (hearing), five spices (taste), aromatic ingredients (smell) and finger foods (touch). 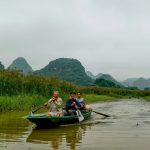 As an agricultural country with the tropical monsoon climate, the main characteristics of Vietnamese geography, culture, ethnic, and climate have defined specifically its characteristics of regional cuisine that contributed to Vietnam culinary richness and diversity. 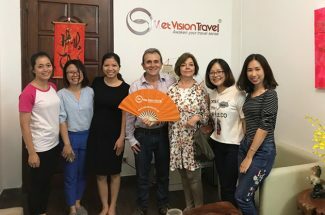 Tourists visiting Vietnam were very excited when enjoying Vietnamese food here because it is simple, exquisite and appetizing to them. However, snake wine, centipede wine, insect, dog meat, cat meat … are the exclusive and strange food and beverage in Vietnam making many foreigners surprised. Vietnam is an agricultural country in tropical monsoon. Additionally, Vietnam territory is divided into three regions, North, Central and South. 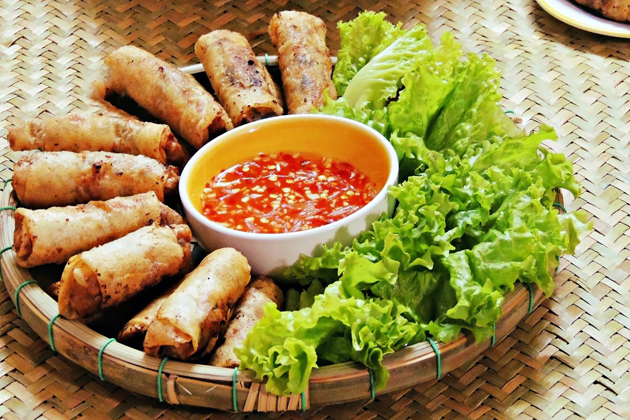 The main characteristics of geography, culture, ethnic, climate have defined specifically characteristics of regional cuisine that contributed to Vietnam culinary richness and diversity. Tourists visiting Vietnam were very excited when enjoying the food here because it is simple, exquisite and appetizing to them. 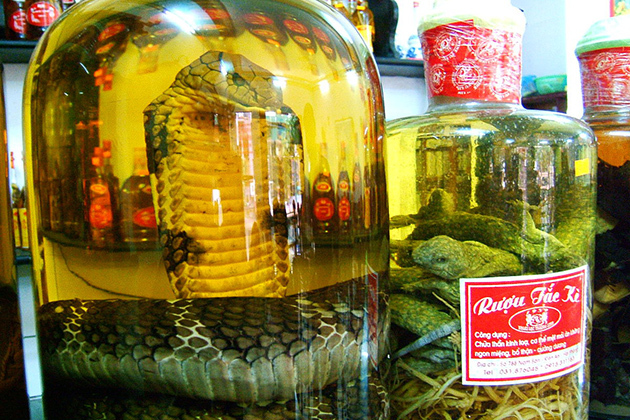 However, snake wine, centipede wine, insect, dog meat, cat meat … are the exclusive and strange food and drink in Vietnam making many foreigners surprised.